Born to a Russian family in Riga, Latvia, I relocated to the United States in 1999 after completing my undergraduate studies. I entered St Vladimir’s Orthodox Theological Seminary in Yonkers, NY with a blessing of late Archbishop Dmitri (Royster) of Dallas (OCA) (d. 2011). After finishing seminary, I enrolled in a doctoral program in Liturgical Studies at the University of Notre Dame, where in 2012 I defended my dissertation on the history and origins of the Byzantine rite for the consecration of churches. I have been teaching at Holy Trinity Orthodox Seminary since 2011. 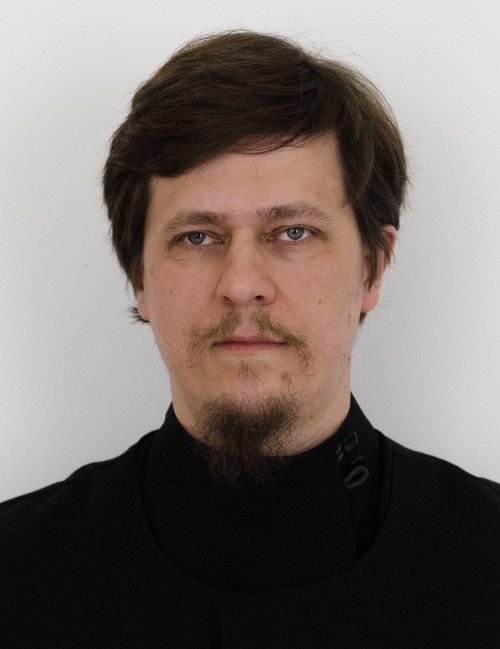 I have been tonsured to the ecclesiastical rank of Reader in the Orthodox Church at Three Hierarchs Chapel of St Vladimir’s Orthodox Theological Seminary in 2002. My research is mainly focused on the liturgical history of Jerusalem and Palestine in the Byzantine period. Currently, I am working on a translation and publication of an Old Georgian baptismal service, which, as I believe, reflects the baptismal practice in Byzantine Jerusalem at the end of the first millenium AD. Likewise, I have recently collaborated on a forthcoming article exploring the revival and reception of the Liturgy of St James in the Orthodox churches in the modern period. Finally, I am still in the process of revising and updating my PhD dissertation o prepare it for publication. (editor, with Herman Majkrzak), The Hieratikon, vol. 2: Liturgy Book for Priest and Deacon. South Canaan, PA: Saint Tikhon’s Monastery Press, 2017; The Hieratikon: Office Book for Priest and Deacon. South Canaan, PA: Saint Tikhon’s Monastery Press, 2014. (editor, with Michael Plekon), Hyacinthe Destivelle, The Moscow Council (1917-1918): The Creation of the Conciliar Institutions of the Russian Orthodox Church, trans. by Jerry Ryan (Notre Dame, IN: University of Notre Dame Press, 2014). “Чин освящения храма в восточных традициях” [“The Rite for the Consecration of a Church in Eastern Christian Traditions”]. In Michael Zheltov, ed., Православное учение о церковных таинствах: Материалы V Международной конференции Русской Православной Церкви. Vol. 3. Moscow: Synodal Biblical and Theological Commission, 2009. P. 346-367. (translator) Nicholas Afanasiev, The Church of the Holy Spirit. Notre Dame, IN: University of Notre Dame Press, 2007. “The Historical Origins of the Feast of Antipascha,” St. Vladimir’s Theological Quarterly 47.2 (2003): 157-182. I am a member of three professional academic societies: American Academy of Religion, North American Academy of Liturgy, and Society for Oriental Liturgies (Societas Orientalium Liturgiarum). I regularly participate in the meetings of NAAL and SOL, presenting papers on the aspects of my research. Likewise, in 2017, I gave two presentations to parish audiences (Russian Orthodox Old-Rite Church of Nativity, Erie, PA; St Barbara’s Orthodox Church [OCA], Fort Worth, TX) on the need for Orthodox Christian laity to know and study theology. I also am assisting the work of Holy Trinity Publications (Jordanville, NY) as an editor of liturgical books and other books published under the imprint of Holy Trinity Seminary Press.